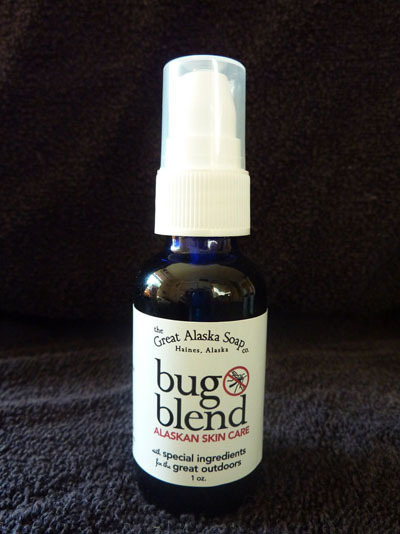 Alaska Bug Blend is a unique formula which combines the essential oils of Citronella, Lemon Eucalyptus, Rosemary, and Lemongrass with Apricot Oil to create an effective all natural insect repellent with a pleasing scent. The U.S. Centers for Disease Control and Prevention (CDC) has recently said that repellents containing the oil of lemon eucalyptus can protect people against mosquitoes. Oil of lemon eucalyptus is also known as p-menthane diol, or PMD, for short. PMD is a plant-based repellent that gave protection time similar to low concentrations of DEET products. Apply to hands, face and other exposed areas of your skin and clothes. Avoid contact with eyes. Avoid contact with eyes. Pregnant women should consult a health care professional before using. For external use only. Discontunue use if irritation occurs. Keep out of children's reach. For additional information regarding lemon eucalyptus as an insect repellent, you may refer to the following articles. 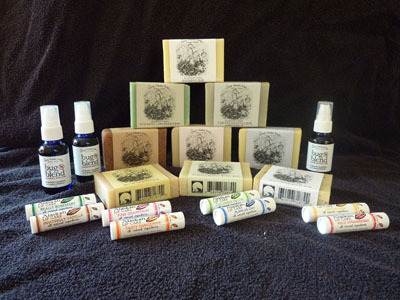 To return to The Great Alaska Soap Company web site, you will need to click on your browers back button.